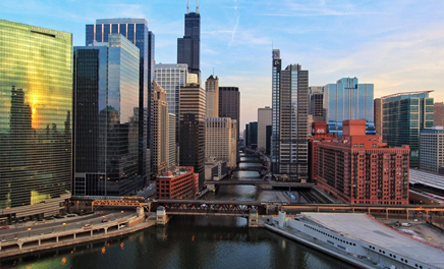 NSAC Chicago, also known as The Depression and Anxiety Specialty Clinic of Chicago (DASC), is located in Chicago’s Lakeview neighborhood, with an additional location in Streeterville (downtown). DASC was founded to provide the most up-to-date, scientifically sound therapy to clients of all ages who suffer from anxiety and mood disorders in the Chicago area. Utilizing evidence based practices, such as Cognitive Behavioral Therapy (CBT), Acceptance and Commitment Therapy (ACT), and Dialectical Behavior Therapy (DBT), the clinicians at DASC work actively with clients to create effective treatment plans. Though tremendous advances have been made in the treatment and management of anxiety and mood disorders, many people do not have access to the best care. We are in network for several insurance carriers, and are able to offer lowered cost treatment options. It is our mission to educate the public about their options and to deliver the best, most competent care. 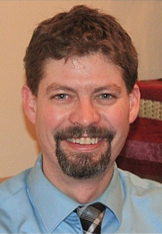 Dr. Benson is the Executive Director of the Depression and Anxiety Specialty Clinic of Chicago. He is a licensed clinical psychologist in the state of Illinois and a Certified Diplomate with the Academy of Cognitive Therapy (ACT). He earned his Bachelor’s degree in psychology from the University of Wisconsin at Madison. He later earned his M.S. and Ph.D. from the Institute of Psychology at Illinois Institute of Technology. He has over 15 years of experience working with adults and adolescents in a variety of settings and now specializes in cognitive-behavioral treatment of anxiety disorders and depression. Dr. Benson also is currently a Contributing Service Professor at Northwestern Memorial Hospital and The Feinberg School of Medicine at Northwestern University in Chicago. In this role, he trains and supervises clinical psychology post-doctoral fellows in Cognitive-Behavioral Therapy. Prior to joining the staff at Northwestern, he worked as a psychologist for the Special Education District of Lake County, Illinois (SEDOL), where he counseled adolescents and performed academic and achievement assessments for students in special education. Dr. Neaman is a licensed clinical psychologist at the Depression and Anxiety Specialty Clinic of Chicago. She specializes in the Cognitive Behavioral treatment of adolescents and adults with anxiety disorders, such as Obsessive Compulsive Disorder (OCD), Social Anxiety Disorder, Panic Disorder, and Post Traumatic Stress Disorder. She earned her Bachelor’s degree in Psychology from Colgate University, and her Doctoral degree from The Chicago School of Professional Psychology with a concentration in Cognitive Behavioral Therapy (CBT). 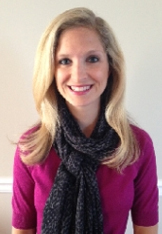 She completed practicums at Trilogy, Inc., The Youth Campus, and John Marshall Law School. She completed her internship at Elgin Mental Health Center, and her postdoctoral fellowship at NorthShore University Health System. Prior to joining DASC, Dr. Neaman worked as a licensed clinical psychologist at NorthShore University Health System’s outpatient medical group, specializing in treating adults with anxiety disorders using CBT and exposure based therapies. As a member of the Anxiety and Depression Association of America (ADAA), she receives ongoing training in CBT, Acceptance and Commitment Therapy (ACT) and mindfulness based interventions. She also serves on the Board of Directors for the National Social Anxiety Center.